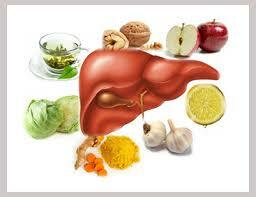 Liver Detox & Allergies, Detox IV Special and B12 Shot Packages! Spring is a time when we are inspired to clean out the old to make way for the new. We do this in our gardens and our closets and we can do it within our bodies, too. 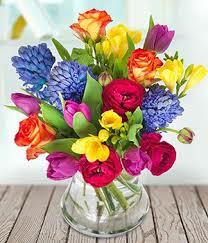 Spring is also a time when many of us experience an increase in allergic reactions to environmental triggers. Allergies are worse when the liver is overburdened with toxins, which then overstimulate the immune system and lead to an increase of inflammatory cells (such as histamines.) Improving liver function will help to reduce allergic reactions and lead to improved detoxification of all toxic exposures. Our Detox IV provides high doses of nutrients that gently increase detoxification through the liver. This "antioxidant bath" is extremely supportive for any cleansing program or any time you need a detox boost. Our Detox IV will help your liver sparkle with joy! From now until the end of May, our Detox IV is $30 off! Call or email us to schedule your IV or injection today! As always, if you have any questions or would like to schedule an appointment, please call 415.569.4470 or email us. We look forward to seeing you soon. The Liver loves a good spring cleaning. Our DETOX IV can help! 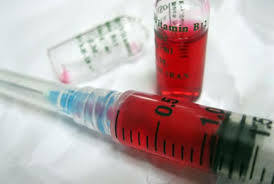 Vitamin B12 injection packages. Pre-pay for six shots and save $30! Copyright © 2019 Be Well Natural Medicine, All rights reserved.